Glenn and I would love to adopt all the children of the world, but obviously we can’t do that. So, our hope is to inspire and support others to adopt. To that end, I wanted to start a new series about the excuses people use not to adopt in hopes that I can encourage those who have thought about adoption to consider pursuing it and to encourage those who are in the process to keep on keeping on. I can’t afford to adopt is the most common excuse I hear to not adopt. Most adoptions cost $22,000-$40,000. That’s a lot of money not matter how you look at it, but what we tend to forget is that God owns the cattle on a thousand hills and he can provide for your adoption. $40,000 is nothing for Him! This was one of our biggest hurdles to adoption this time around and last time as well. We had no idea how WE would afford it, but that was just it, WE were trying to afford it instead of allowing God to provide. 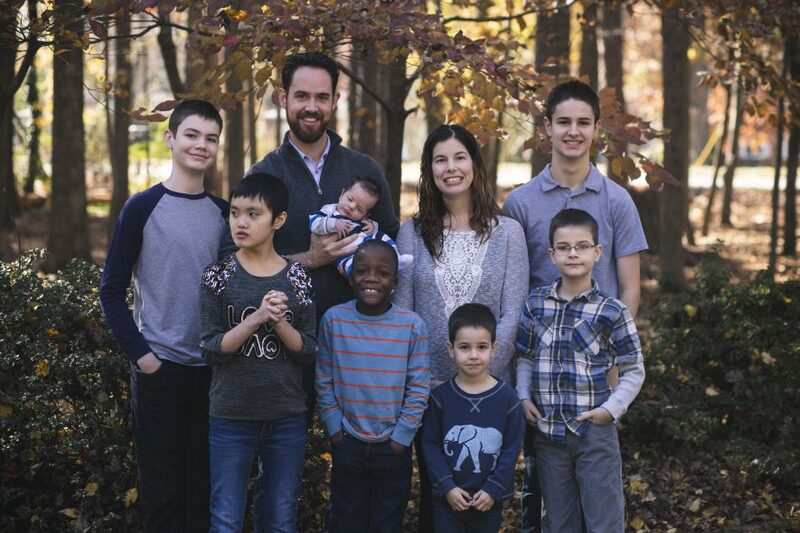 With Joshua’s adoption we did things on our own and ended up with $19,000 worth of debt. God was still merciful and provided us with a refundable tax return to pay off that debt just before we began this new adoption process. However, this time the adoption refund is non refundable which means that we will only get back in taxes what we have paid in taxes, which for us is around $6000 each year no matter what we have paid in adoption expenses that year. This adoption refund does spread over 5 years though so once our adoption is finalized we can slowly get back what we have paid but it will take the five years to get that back. That could leave us with a lot of debt payments that, frankly, we could not afford each month. So, we knew we had to do things differently this time. I read a book called Adopt without Debt and it changed my perspective. I saw many families who had successfully funded their adoptions completely debt free and I determined we could do that too but it would take some work. A lot of work actually. We began fundraising almost the minute we submitted our first application to adopt and now we are about 6 months from traveling and are $1400 from being fully funded! That is amazing to me! God has provided about half of our adoption costs through fundraising and he has provided the other half through our own funds. It has been a series of unexpected bonuses from work, extra money in the budget I didn’t think we had and even checks from a doctor’s office because we had overpayed?! God provides in the most mysterious ways. 1. Take the costs one step at a time. You cannot look at the whole cost at once, you will get overwhelmed. Look at the next bit of money that is owed. God generally does not provide ahead of time, that has been the case for us. God has provided just what money was needed exactly when it was needed. You just have to trust and believe He will come through at the right time and not look too far ahead. 2. Be humble. To be honest, it is not easy to admit you need help from others to pay for an adoption and it’s not easy to accept money from others. At least it isn’t for us. Through this process you have to allow God to work and that means setting aside your pride and accepting his help through other people. 3. Be open. God will provide from all sorts of ways you just have to be open to it. You also have to be open and honest about your financial situation with others around you so they can know how to help. That is hard to do. I, personally, am a private person, but in this situation you have to be open. People don’t know you need help unless you are willing to ask. God is strong in our weakness, but we have to admit weakness in order for him to work. 4. Prepare for a ride. Adoption is a rollercoaster. It has ups and downs, sometimes in the same day and it can be hard at times. There will be times you don’t think you can do it and you don’t see how the money will work out, but be prepared for God to work in those moments. If God has called you to this process He will provide what is needed. I can’t afford to adopt should not be a reason not to adopt. You may not be able to afford an adoption, few of us could on our own. But God can afford it and He will if you make yourself available for his blessings. Step out in faith. Thanks for posting, Ruth! I’ve been rolling adoption around in my heart and mind and the cost was one of the first things that I felt was an obstacle I could not get around.